The Pedometrics Commission of the International Union of Soil Sciences (IUSS) has decided to award a medal for the best body of work that has advanced pedometrics (the subject) in the period between consecutive IUSS World Congresses, i.e. over a period of four years. However, achievements before that period will also form part of the evaluation (see more detail below). The award will be made at each meeting of the IUSS World Congress. It was suggested that this award should be called the Richard Webster Medal. The Pedometrics Committee on Prizes and Awards was established in 2006 and it comprises a chairman and three other members. The committee members shall preside over two awards. On retirement of the Chairman of the Pedometrics Committee on Prizes and Awards, the existing Chairman will recommend one of the existing committee members to the Chair and Vice-Chair of the Pedometrics Commission for the appointment to be made. Proposals for two new members of the Committee can be made by the existing committee members and the Chair and Vice-Chair of the Pedometrics Commission. If a vote is necessary, that of the Chair and Vice-Chair of the Pedometrics Commission will count as a single vote. The rules of the IUSS established for the Richard Webster Medal can be seen in full at http://www.iuss.org/index.php?article_id=173, but key extracts are below. 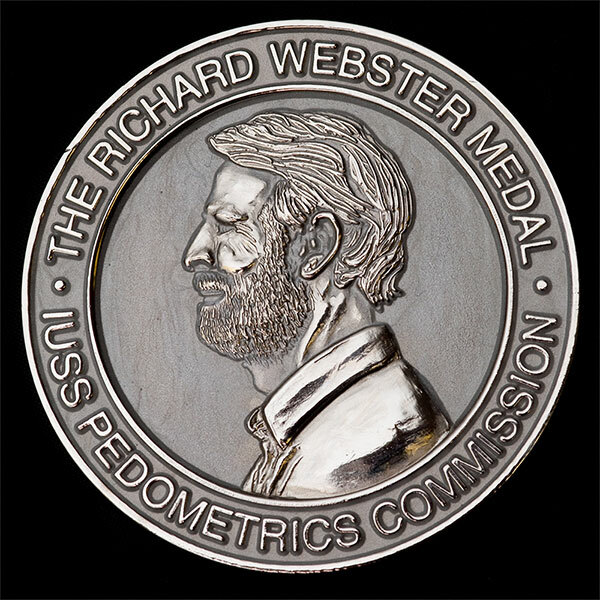 In accordance with these rules, the Pedometrics Committee on Prizes and Awards (‘the Committee’) invites nominations for the Richard Webster Medal, to be awarded at the next World Congress of Soil Science. T’he Committee will examine the nominations and decide to whom the medal should be awarded. If you wish to nominate a colleague for the Richard Webster medal, then please examine the rules, and forward your nomination to the Chairman of the Committee at the email address given above no later than 30th May 2010. (e) and service to pedometrics (e.g. by serving on a committee of the Pedometrics Commission or promoting pedometrics to the IUSS). 2) A nominee should be a member of the IUSS at the time of the nomination and have been involved in activities associated with pedometrics, in particular. 3) The nominee must be living at the time of the selection; retired pedometricians still active in pedometrics research will be eligible for the award. The nominee should be willing to receive the medal at the time and place designated by the IUSS World Congress, and be a keynote speaker at the next conference of the Pedometrics Commission (held biennially) following the presentation of the medal. Members of the Awards and Prizes Committee shall be ineligible to receive the medal while serving on the Committee. 4) The award of the Richard Webster Medal shall not be presented to any one individual more than once. 1) Nominations for the Richard Webster Medal should be made by a colleague or colleagues who know the person’s work well. The nomination should include a résumé and a short statement (a maximum of 750 words) summarizing the relevant qualifications of the nominee with respect to the conditions outlined in the section, requirements and eligibility, above. vi. and leadership and management of research projects.